Ever got so busy that you skipped a meal, and thought that, “Hey it’s not too bad, I’ve saved the lunch money today”? While skipping a meal every now and then wouldn’t hurt, skipping certain routine checks and maintenance on your vehicle could potentially cost you an arm and a leg. Many drivers fail to realise the importance of tyre pressure, brushing it off as a minor detail, believing that it wouldn’t affect much apart from the bumpiness of the ride. That is, however, a completely incorrect understanding of the topic. 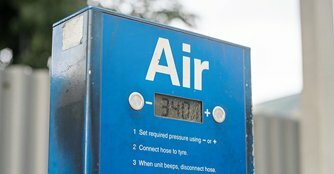 Insufficient tyre pressure not only affects your vehicle’s comfort and handling, it will also cause the tyres to flex more, resulting in increased friction between the tyres and the road. This causes the temperature to increase, which could result in tread separation (a dangerous situation where the tread of the tyre separates from the body of the tyre) or tyre blowouts (a rapid loss of tyre pressure which results in an explosion). Both situations could result in a severe loss of control of the vehicle, which could be deadly, especially when travelling at highway speeds. Even if there aren’t any obvious leaks, tyre pressure could still reduce over time due to many reasons, such as temperature differences, it would be wise to make it a habit to check your car’s tyre pressure at least once a month. 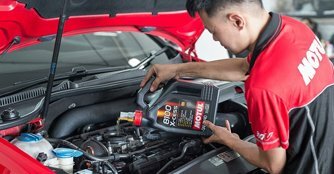 Arguably one of the most basic yet crucial maintenance for cars, most drivers are actually aware of the need for engine oil changes, it’s just that some may assume it is okay to put it off until a much later date, thinking that it will not have much detrimental effect. Under the high operating temperature and harsh environment, engine oil deteriorates over time. When the engine oil’s composition breaks down, sludge which affects the flow of oil may form. The oil will not be able to sustain its viscosity, becoming thinner at high temperature and no longer lubricates the metal engine parts properly. Dirt and other particles could also contaminate the engine oil causing it to become abrasive. 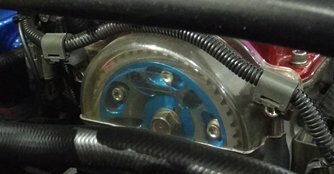 While most of the newer cars utilises metal timing chains, which are supposed to last for pretty much the entire lifespan of the engine, many cars on the road still utilise timing belts. So, what happens when your timing belt snaps? “A piece of belting wouldn’t cost much right, so why should I be concerned?” Well, hold that thought. 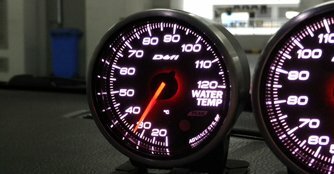 You see, there are generally two types of engine timing configurations – non-interference and interference. In a non-interference engine, even if the valves are to fully open when the piston is at the top, they will never cross path. Hence for such engines, there shouldn’t be any damage when the timing belt, which synchronises their movements, breaks. For the latter, however, the piston and the valves’ strokes use up the same space, if the valves were to be fully opened while the piston travels up, they will hit each other, resulting in possible damage to the valves, piston, cylinder head, camshaft or cylinder wall, all of which will be extremely costly to repair. What? 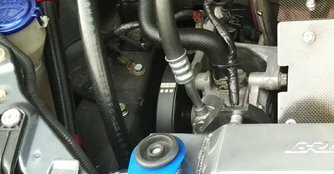 There are more belts in an engine? Well, yes, luckily these aren’t as crucial and costly as timing belts, but that does not mean that they should be neglected, as they can still cause you to end up standing by the road, waiting for assistance when they snap. These belts have a similar lifespan to timing belts, and are often changed together, so don’t brush them off in an attempt to save a few bucks just because these don’t seem as vital as the other components. 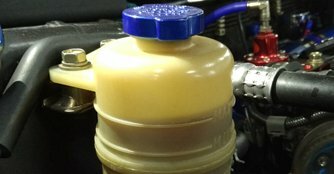 Brake fluid is the medium that connects your feet’s movement to the actual hardware that slows down and stops your vehicle. The incompressible brake fluid is displaced the moment the pedal is pushed, transferring the force to the pistons in the brake calipers, pushing the brake pad against the rotor to slow the car down. If there is insufficient brake fluid, the brakes will malfunction, and in worst cases the brakes may not work at all. Check that the respective fluids are within their threshold by ensuring their level are within the ‘Min’ and ‘Max’ markings on the reservoir. 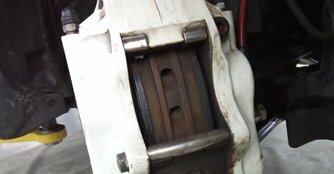 The importance of brakes simply can’t be stressed enough when it comes to the safety of a vehicle. Apart from brake fluid, the various components that make up the braking system are equally important as the failure of any of them can lead to dire consequences. Never neglect your vehicle’s brakes as braking problems pose a huge safety hazard. Being unable to stop when you need to will most definitely result in an accident. An internal combustion engine generates power through countless explosions within its cylinders, it wouldn’t take rocket science to figure out how much heat that produces, which is why the cooling system is a vital part of any engine. Overheating causes seals and gaskets to deteriorate prematurely and leak, which results in an array of issues and could even cause permanent damage to your engine. A ‘blown’ (severely damaged) head gasket, is one of the common problem caused by overheating, when the head gasket (a gasket which sits between the engine’s top portion, the head, and the lower portion, the block) fails, the engine loses compression (leading to less power) and the coolant and engine oil will usually mix.